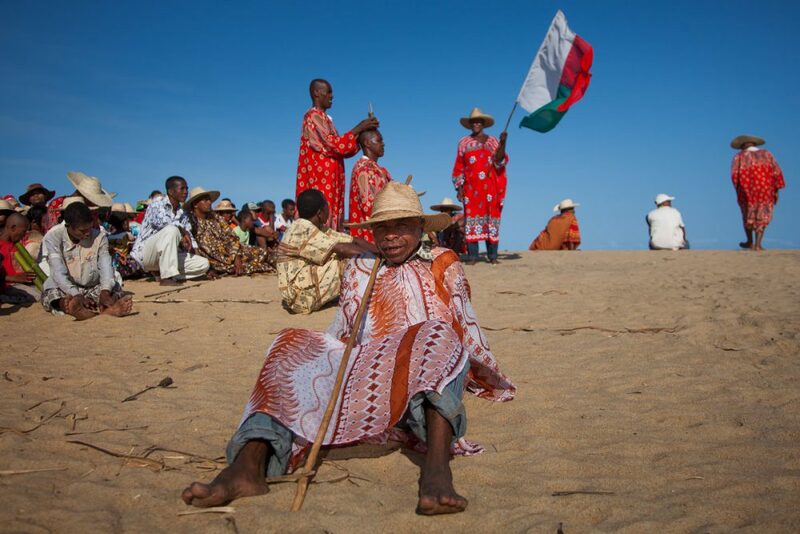 The Antambahoaka are the smallest of the 18 different ethnic groups of Madagascar. They inhabit a small region along the southeastern coast of the country, south of the Mananjary River. 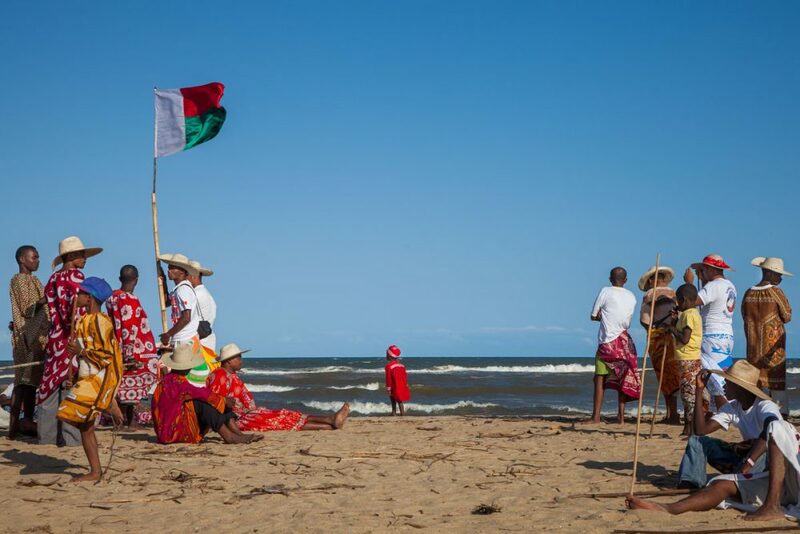 Their forefathers crossed the seas from Indonesia and – probably after spending some time in Arabia – migrated to Madagascar between the 12th and 14th century. Being descendants of an Arab named Raminia, they still adhere to certain islamic practices but most of them are animist. For centuries the Antambahoaka have been celebrating the Sambatra, which is held every seven years. 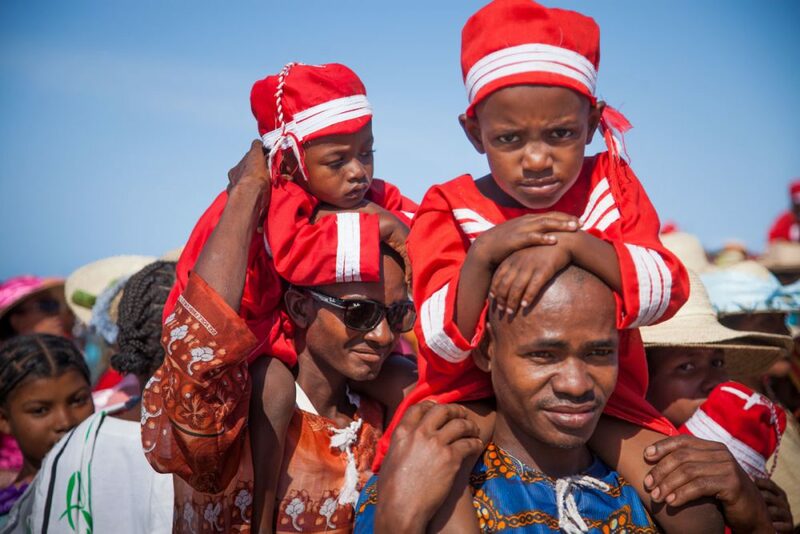 This Sambatra is not merely the ritual of the collective circumcision of the boys born in the seven years preceding it, but also marks the transition from young boy to adult male and Zafiraminia, son of Raminia. 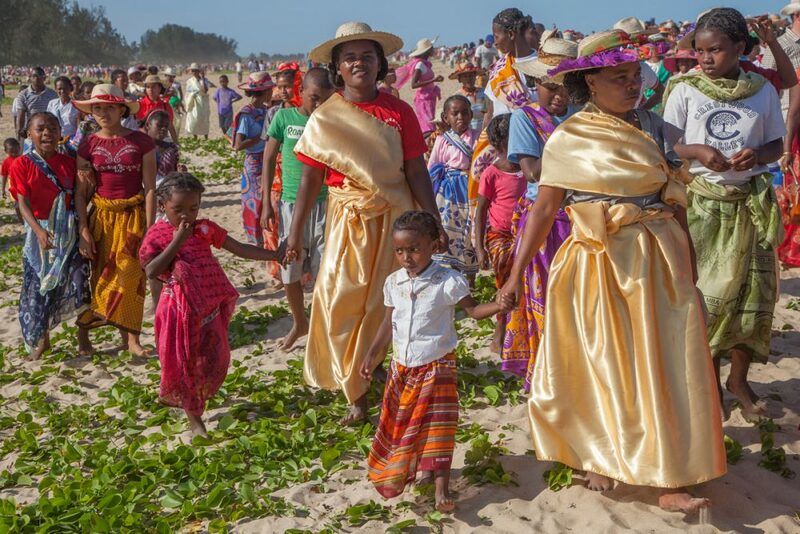 At the same time the Sambatra is the reminiscence of the exodus that brought them to Madagascar. Most of my photos were taken during the big procession from the city of Mananjary to the estuary of the river with the same name, along the shore of the Indian Ocean. 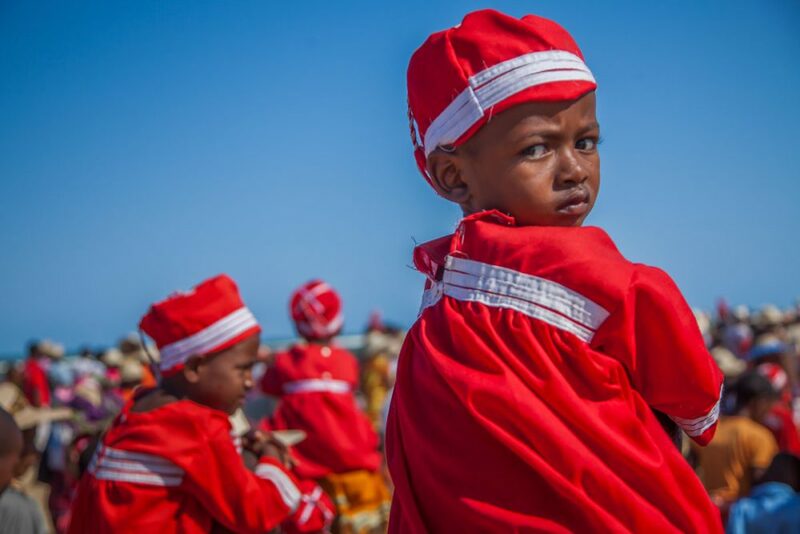 The boys are dressed in a red cloak and matching red hat, carefully sewn by their mothers and symbolizing the power bequeated by the kings. After the procession the boys are circumcised in one of the ten “tranobe”, the houses of the 10 kings. After this the Antambahoaka will have to wait seven years again for the next Sambatra celebration.